Since then, I used to say “Chocolate content” if anybody asked about my professional goals. When my friends wanted to become a doctor, engineer, teacher, IAS officer and all that, I was content with “Chocolate content”. As I grew older, my goal started changing. Friends and peers influenced me. Kannada actor Malasree’s movies used to motivate me to become a Police inspector. My mother and all other teachers inspired me to become a teacher. On watching Alaipayuthe, I was dead sure that I should become a doctor like the lead protagonist. The desire to go to IIT compelled me to pursue engineering. My thirst to words and English provoked me to become a Journalist. And, my creativity pulled me towards interior designing and fashion designing. I was in a complete mess when my 10th standard results came. I knew I can’t stand the sight of blood. Mathematics seemed alien to me. Interior designing and fashion designing seemed like a distant dream! My parents still wanted me to become a Chartered Accountant. Yet they never forced me. And the D-Day of opting for the preferred group came. I still wonder how. I whole heartedly opted for Commerce. That shocked everyone… from my parents to relatives to friends… And, I did shock myself! My affair with Commerce started. It was an instant love for both. Looking back, I see happiness surrounding me. I feel accomplished. I feel independent. Dreams can transform life. Our life may seem like a fairy tale; with happy endings. Remember Cinderella’s story? She struggled a lot before finding her Prince charming. I was no different. I was forced to taste failure before entwining myself with the tag called “Chartered Accountant”. I believed that my life was perfect and that failure can never be a part of my life. But, that failure taught me the reality of life. It taught me the nuances of successful life. Yes! Success befriends the level headed person. Failure always strengthens us. It builds a strong base so that we remain unaffected by success or failure. I think that reaching that stage and understanding that life can never be stagnant is the most important lesson that failure teaches. Those lessons help us not to take things for granted. It guides to enjoy each moments in life with minimum expectations. Well, with minimal expectation and the ability to foresee failure, life would seem to be a huge gift wrapped box. The experience of unwrapping it with excitement and fingers crossed is the best feeling one could ever have! Hey! Am I sounding philosophical? May be I am. That’s the fair reality too. Failure also helps us recognize those whom we can rely upon. I still remember how my parents never lost faith in me. I remember them holding me gently, yet letting me walk myself. Then, there was my brother. He used to stay awake with me. He used to make me study and talk to me whenever I felt like the pain and expectation was too much to bear. I clearly remember how beads of tears used to roll down my cheeks and wet those pages. I remember how those letters would dampen due to hot droplets of tears. I remember how I used to feel embarrassed to be a part of any public gatherings. Ouch!!! 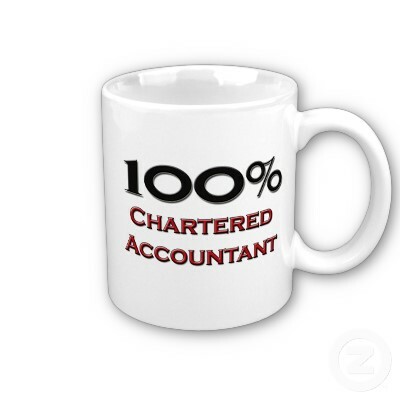 I am realizing that the word “Chartered Accountant” is reminding me more of failure than success. It is reminding me more of the days I spent with tears burning the midnight oil. And, at this moment, while jotting down those good old days, my eyes are clouded with tears. After all, the efforts and pain was worth it. I have attained my dreams. This Cinderella has found her Prince!!! How amazingly life has changed. How great I am feeling. I still remember that twinkle in the eyes of my parents when I declared that I am finally a Chartered Accountant. I still remember how tears of joy rolled down and how I choked in happiness. And today, I am so happy. It’s a year since my name has changed. My already 19 lettered name got an additional 2 lettered prefix - CA. I feel like ranting and boasting. I feel like smiling and crying. I feel like thinking and typing. I feel like posting and feel happy. But, I am stopping here. I mean the post. But, as a Chartered Accountant… Miles to go before I sleep…..